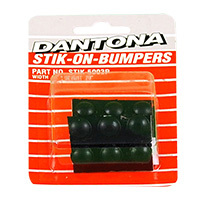 These self-adhesive bumpers provide a quick and effective method of providing additional support for motherboards. The bumpers prevent deflection in the motherboard that may cause crack traces or damage components. They come in different sizes and heights for the perfect fit in any case and with any motherboard. Round, Width .44", Height .20"